Add all of your dry ingredients to a bowl and stir them together. Place the bowl in the stand mixer and add the water. Stir it until it is all combined. It will look like cookie dough. It only takes a minute. Cover the bowl with a cloth and let sit 8-12 hours. We make ours at night and let it sit overnight on the counter. After it has risen for 8-12 hours. 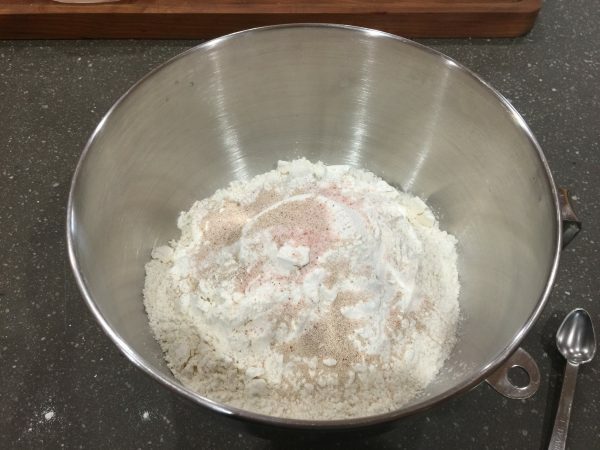 Flour your work surface and shape your dough into a ball. DON'T knead the dough. Once you have done this set it back in a floured bowl and cover with a cloth and let rise for another 30 minutes. After the 30 minutes Preheat the oven to 450F. 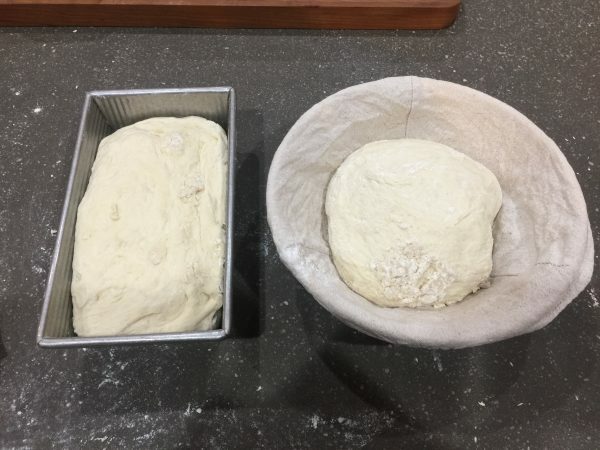 If you want a round bread place an oven-safe pot in the oven to preheat also. After the oven is preheated. Which will take another 30 minutes. Remove the Pot place the dough in the pot. Put a cover on the pot. Don't preheat the cover. Bake the bread with a cover on it for 30 minutes. After 30 minutes if the bread is to your liking remove. If you want a thicker crust remove the lid and bake another 5-15 minutes Remove and let cool. This recipe would make an awesome bread bowl too. Dunno know but for some reason it sounds so condescending . My 6 yr old son and I love your intro. I say it to him every morning, “Good morning modern Sean’ er.” He stops whatever he is doing and says it with you whenever I play your videos. My kids and I love watching this channel. My 6yo says, “Daddy, let’s watch the New Yolk City guy!” I think the opening line each time is great! I watch Al’s video every day since the last two weeks that I became a subscriber and I like to hear him say good morning. I know everyone is different, so Al don’t change anything about your videos it’s what sets you apart from everyone else, it’s perfect and who wants to change perfection? LOL.. 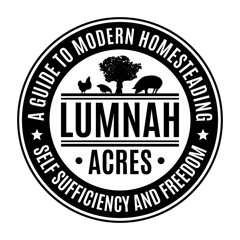 I love it , I’m a “Modernsteader,” like our grand parents did things but with modern technology . (See my ytube comment on my flour mix) kleineroteHex. Ironically we LOVE the intro and look forward to it every day! 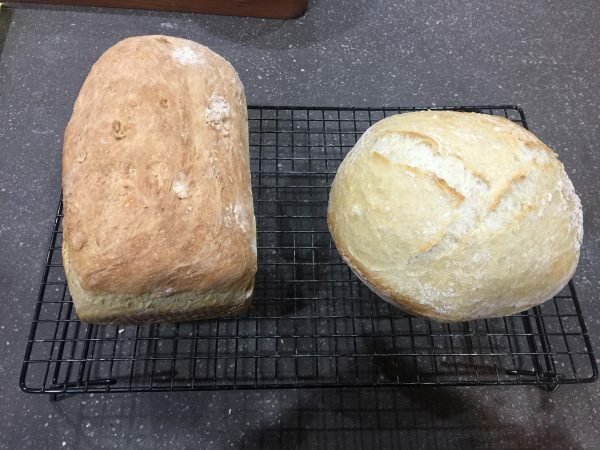 “Goood Morning modern steaders” Keep up the great work Al, & thanks for sharing the recipe. We have the bread in the oven. Hello! This is my first comment here so I just wanted to give a quick shout out and tell you I truly enjoy reading through your articles. Can you suggest any other blogs/websites/forums that deal with the same subjects? Thanks a lot! Excellent goods from you, man. I have keep in mind your stuff prior to and you’re just too magnificent. I actually like what you have acquired here, really like what you’re stating and the best way in which you say it. You’re making it enjoyable and you continue to care for to stay it sensible. I can not wait to read far more from you. This is actually a great website. We so love your channel with all your animals !Hubby loves your intro by the way ,he says you remind him of Groucho Marx! 😂 subscribed!! I am new to your channel and I love the greeting you give each time. Keep up and don’t listen to the negative nancy’s, you just be you. I always say, if you don’t have anything nice to say, don’t say anything at all. This world has enough negative in it. You just keep on doing what you’re doing. My husband and I live in a small city that is more rural where we are but still, we raise hens for their eggs and grow a garden of food as well. We are planning on retiring in a few years time and will buy a piece of land to homestead on, we can’t wait. 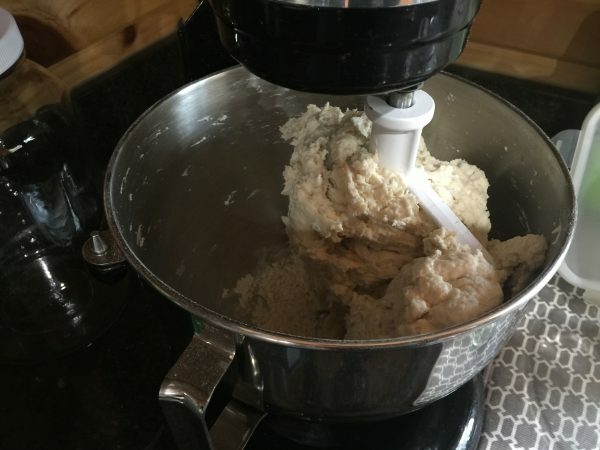 I love the idea of making that recipe the night before and not having to knead it. Thanks and God bless.